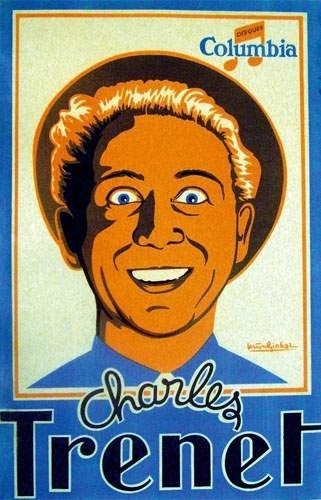 Louis Charles Auguste Claude Trenet, known as Charles Trenet (1913 – 2001), was a French singer and songwriter. 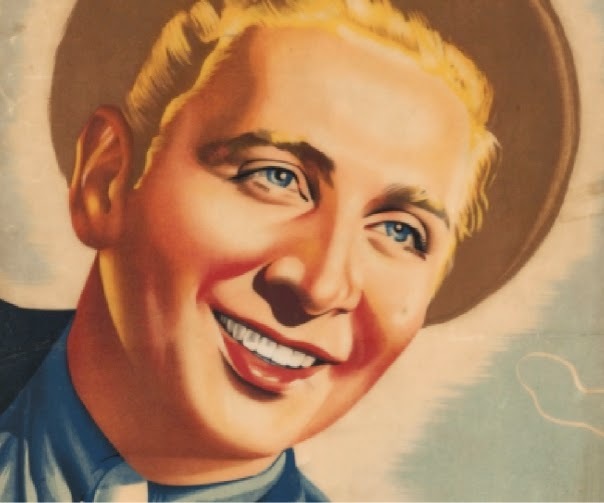 He was most famous for his recordings from the late 1930s until the mid-1950s, though his career continued through the 1990s. 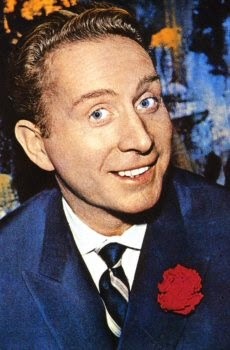 In an era in which it was unusual for singers to write their own material, Trenet wrote prolifically and declined to record any but his own songs. His best-known songs include "Boum! ", "La mer", "Y'a d'la joie", "Que reste-t-il de nos amours? 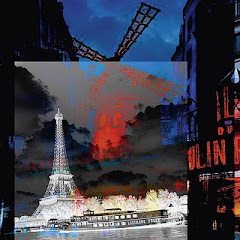 ", "Ménilmontant" and "Douce France". His catalogue of songs is enormous, numbering close to a thousand. 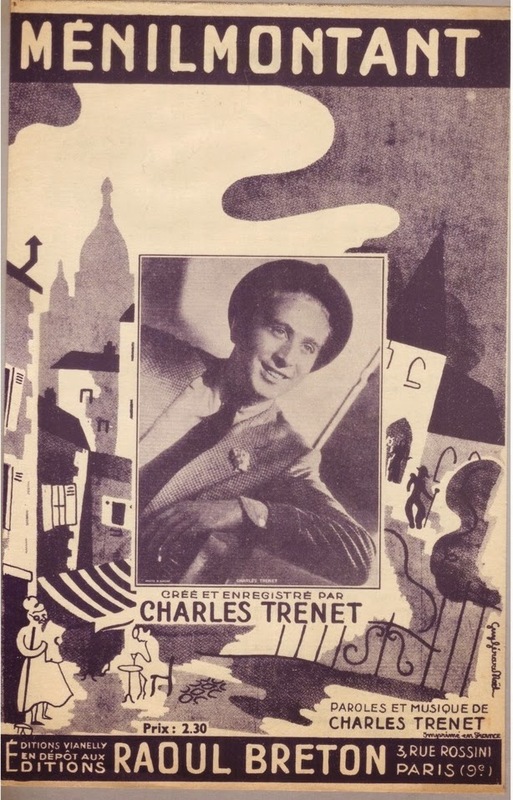 While many of his songs mined relatively conventional topics such as love, Paris, and nostalgia for his younger days, what set Trenet's songs apart were their personal, poetic, sometimes quite eccentric qualities, often infused with a warm wit. Some of his songs had unconventional subject matter, with whimsical imagery bordering on the surreal. Many of his hits from the 1930s and 1940s effectively combine the melodic and verbal nuances of French song with American swing rhythms. His song "La mer", which according to legend he composed with Léo Chauliac on a train in 1943, was recorded in 1946. Trenet explained in an interview that he was told that "La mer" was not swing enough to be a hit, and for this reason it sat in a drawer for three years before being recorded. "La mer" is Trenet's best-known work outside the French-speaking world, with more than 400 recorded versions. The song was given unrelated English words and under the title "Beyond the Sea" (or sometimes "Sailing"), was a hit for Bobby Darin in the early 1960s, and George Benson in the mid-1980s. "La mer" has been used in many films such as Bernardo Bertolucci's 2003 The Dreamers. When Trenet first arrived in Paris in the 1930s, he worked in a movie studio as a props handler and assistant, and later joined up with the artists in the Montparnasse neighbourhood. His admiration of the surrealist poet and Catholic mystic Max Jacob (1876–1944) and his love of jazz were two factors that influenced Trenet's songs. From 1933 to 1936, he worked with the Swiss pianist Johnny Hess as a duo known as Charles and Johnny. They performed at various Parisian venues, such as Le Fiacre, La Villa d'Este, the Européen and the Alhambra. They recorded 18 discs for Pathé, the most successful of which was "Quand les beaux jours seront là / Sur le Yang-Tsé-Kiang". The Charles and Johnny records feature Hess on piano, with the two frequently singing in two-part harmonies with quickly alternating solo spots for the two. Around 1935, the duo appeared regularly on the radio on a broadcast called Quart d'heure des enfants terribles. The duo continued until 1936 when Trenet was called up for national service. 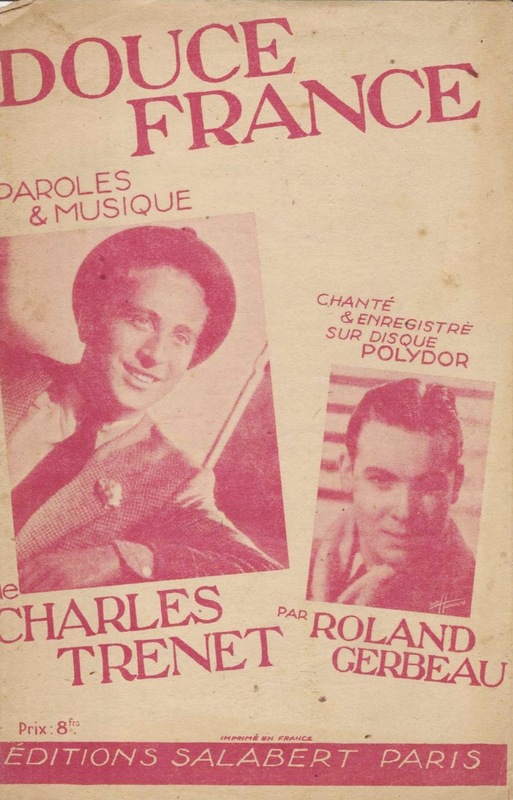 It was after his national service that Trenet received the nickname that he would retain all his life: "Le fou chantant" (The Singing Madman). 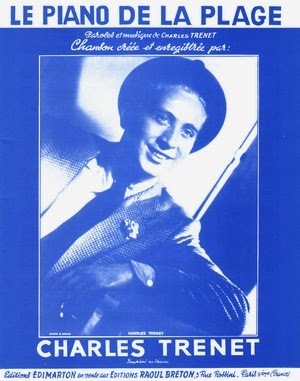 In 1937, Trenet began his solo career, recording for Columbia, his first disc being "Je chante / Fleur bleue". 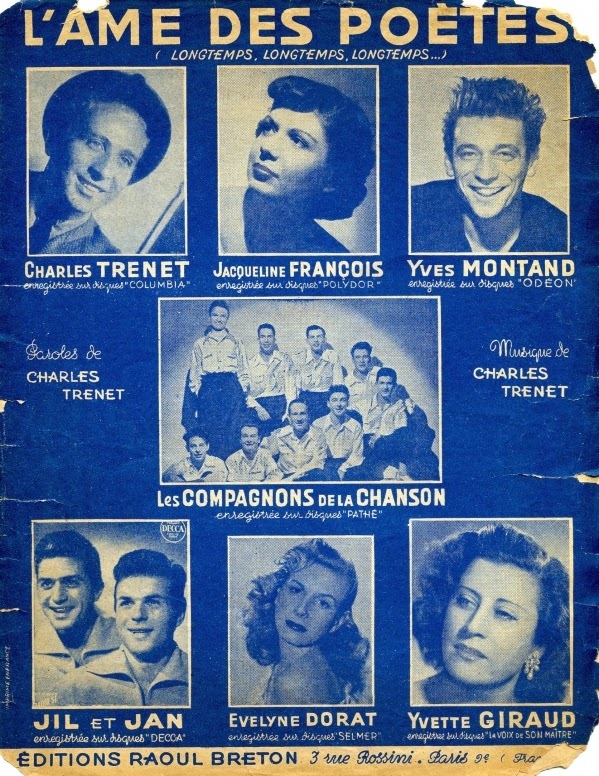 The exuberant "Je chante" gave rise to the notion of Trenet as a "singing vagabond", a theme that appeared in a number of his early songs and films. At the start of World War II, Trenet was called up. He was in barracks at Salon-de-Provence until he was demobilized in June 1940, when he moved back to Paris. There he performed at the Folies Bergère or at the Gaîté Parisienne (two famous cabarets) in front of a public often consisting of German officers and soldiers. After the end of hostilities he moved to the United States where he lived for a few years and where he quickly became a success. After a few triumphant concerts at the Bagdad in New York, Trenet became a big hit and was approached by Hollywood. He met the likes of Louis Armstrong and began a long-lasting friendship with Charlie Chaplin. 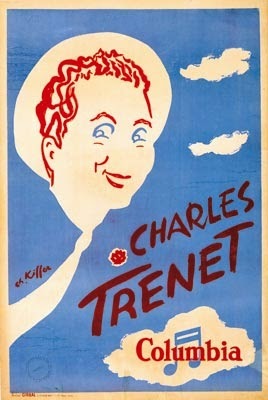 On 14 September 1951, Trenet returned to Paris and made a comeback at the Théâtre de l'Étoile. He incorporated ten new songs into his act, including "De la fenêtre d'en haut" and "La folle complainte". In 1954 he performed at the Olympia music-hall in Paris for the first time. The following year he wrote the famous "Route nationale 7", a tribute to the introduction of paid holidays. 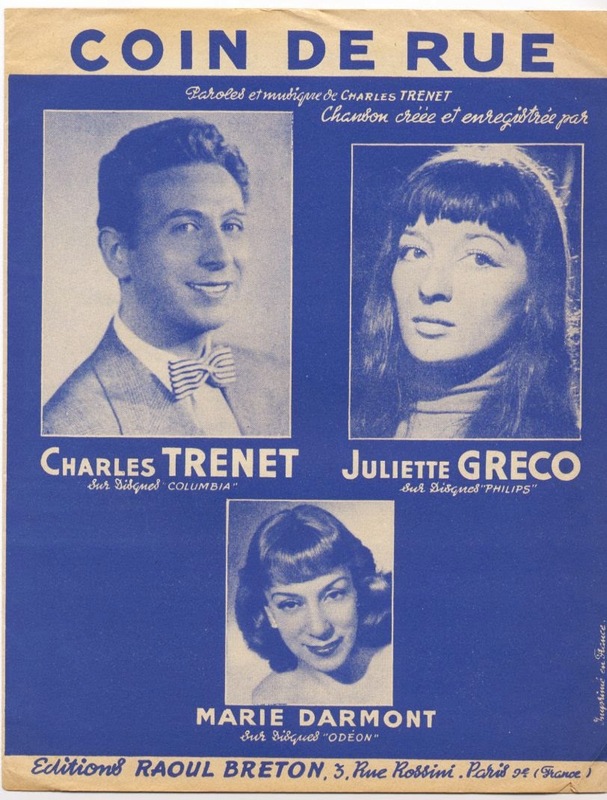 In 1958, Trenet was the headlining act at the Bobino and the Alhambra. In 1960, he returned to the Théâtre de l'Étoile, appearing on stage for the very first time without the famous trilby hat which had for so long been part of his act. 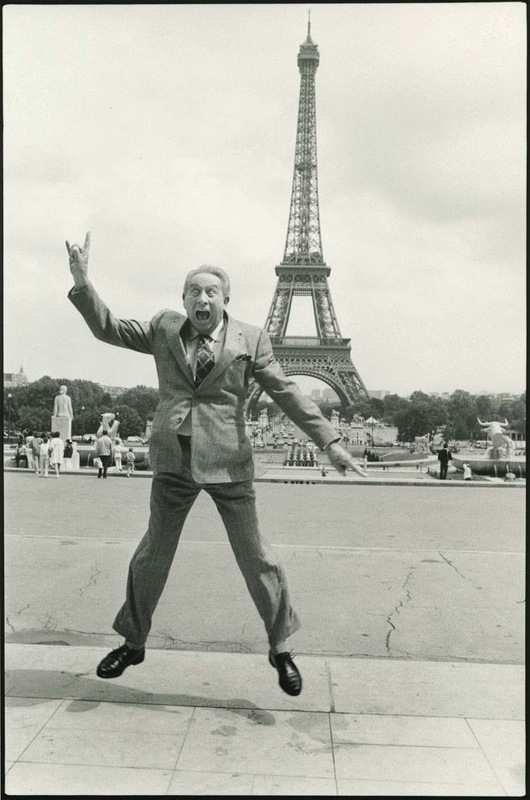 In 1970, Trenet flew to Japan to represent France at the Universal Exhibition in Osaka. The following year he left Columbia, his long-time record label, and recorded "Fidèle" and "Il y avait des arbres". He also made a memorable appearance at the Olympia. In 1973, Trenet, who had just celebrated his 60th birthday, recorded a new album, Chansons en liberté. 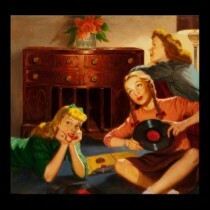 The twelve songs on this album were an interesting mix of old and new compositions. His 60th birthday was celebrated in grand style by the French media. Trenet made a surprise announcement in 1975, declaring that he was retiring from the music world. At the end of his final concert at the Olympia he bade his audience an emotional farewell. Following the death of his mother in 1979, he shut himself away from the world for the next two years. Nevertheless, in 1981 Trenet made a comeback with a new album devoted to sentimental memories of his childhood. 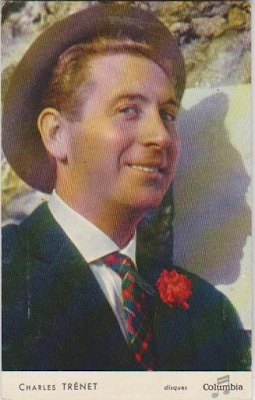 Trenet then returned to his peaceful semi-retirement in the South of France, occasionally reappearing for a special gala performance in France or abroad. 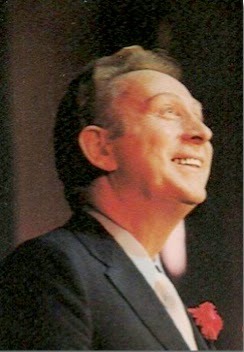 After giving farewell concerts in France, Trenet was persuaded out of retirement, in 1983 for a farewell concert in Montreal. Trenet performed many more concerts including a series every night for three weeks at the Palais des Congrès in Paris in 1986. On 21 May 1999, he returned to the forefront of the music scene with a brand new album entitled Les poètes descendent dans la rue (Poets Take to the Streets). Nearly sixty years after writing "La mer", Trenet released fourteen new tracks. Following the success of the album, Trenet returned to the live circuit. His concerts proved a huge success, fans in the audience breaking into rapturous applause. In April 2000, old age began to catch up with Trenet, and he was rushed to hospital after suffering a stroke. The singer was forced to spend several weeks in hospital recovering, but by the autumn of that year he was well enough to attend the dress rehearsal of Charles Aznavour's show at the Palais des Congrès on 25 October. This was his final public appearance. Trenet died on February 19, 2001. In November 2000, the Narbonne house in which Trenet was born – which had become 13 Avenue Charles Trenet – was turned into a small museum. Visitors were able to view souvenirs from Trenet's childhood and family life (especially those belonging to his mother, who had spent most of her life in the house), as well as original drafts of the songs which had made his career. 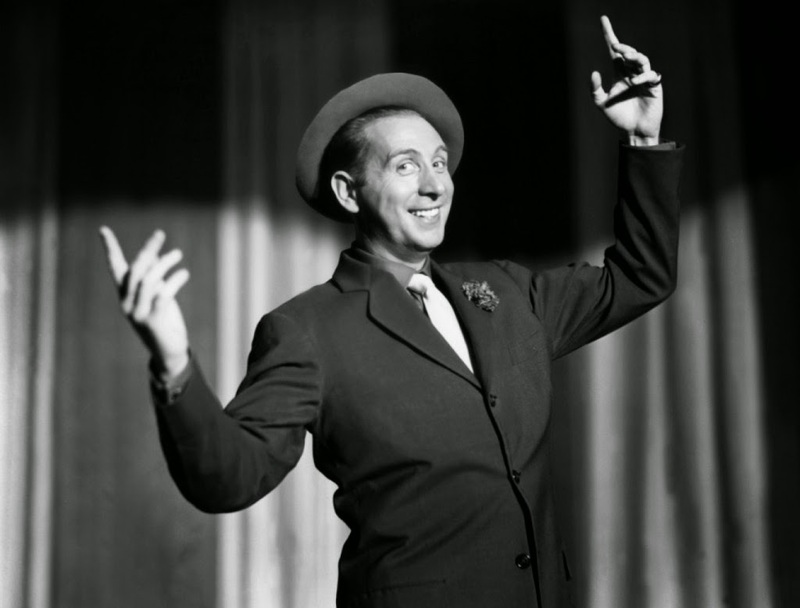 Enjoy Charles Trenet's immortal style! Monsieur Trenet is wonderful, elegant, and timeless. Merci beaucoup.